Transportation can be a bit convoluted in this area and we spent a significant amount of time figuring out the best bus and train connections to allow us to see everything we wanted in the most efficient manner possible. That said, we boarded a bus from Biarritz Airport and were whisked into the city center in about 15 minutes. 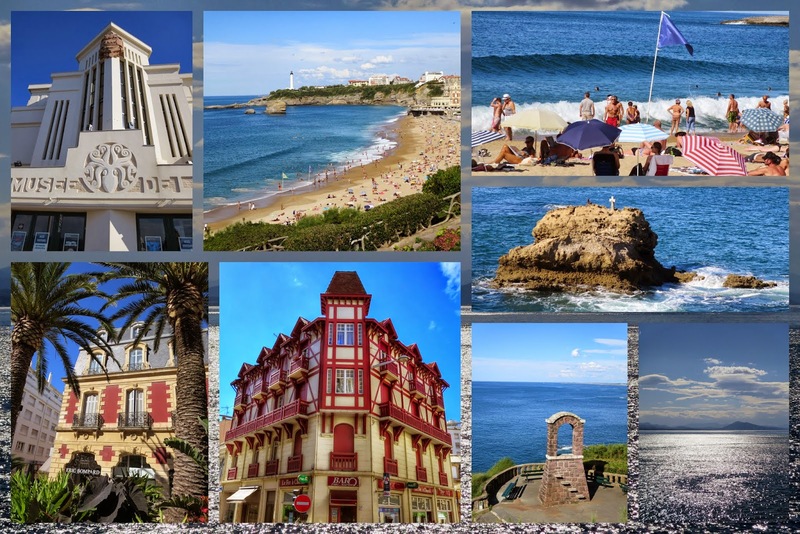 Biarritz is a beach resort first and foremost and we spent our few hours there strolling along the promenade and dazzling beaches. We were also impressed by the architecture (mainly done up in dazzling white with brightly colored accents). We especially admired the Art Deco Musée de la Mer. 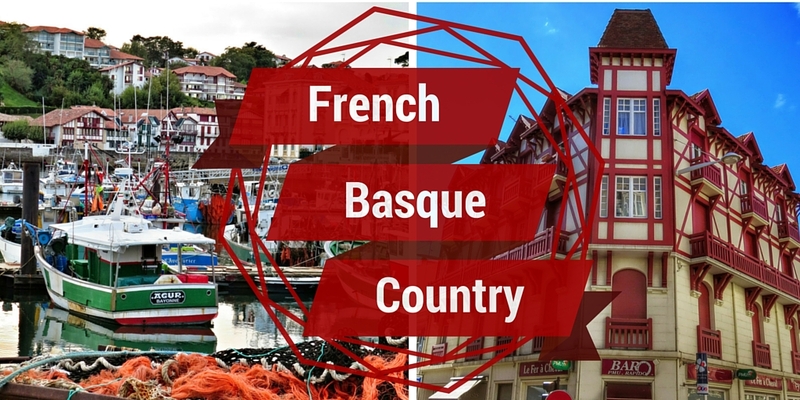 Given the bus connections, we were only able to spend a few hours exploring Biarritz but felt this was a good introduction. It's easy to get here from Dublin so we can always come back again sometime. 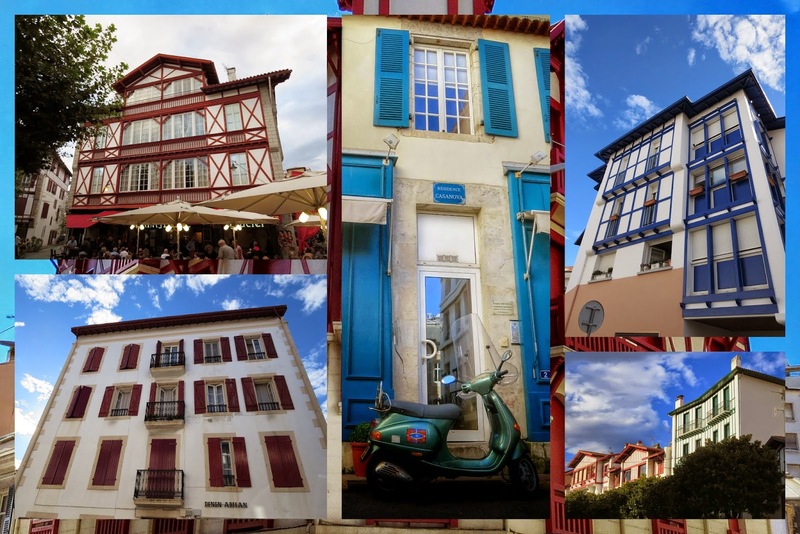 One of the things that impressed us most about French Basque architecture was the rich color. In Biarritz, St. Jean de Luz, and Hendaye, the half-timbred buildings unified the area and gave it a unique atmosphere. There was something just so perfectly romantic about the area as well. In the center picture below, a shiny Vespa sits in front of Residence Casanova. I just had to smile. We caught the bus from Biarritz to Biarritz Gare to catch the train to our 'home base' for the weekend, St. Jean de Luz. We had a couple hours to familiarize ourselves with this quiet fishing village before dinner. We enjoyed exploring the port with its colorful boats and jumbled nets set out to dry. 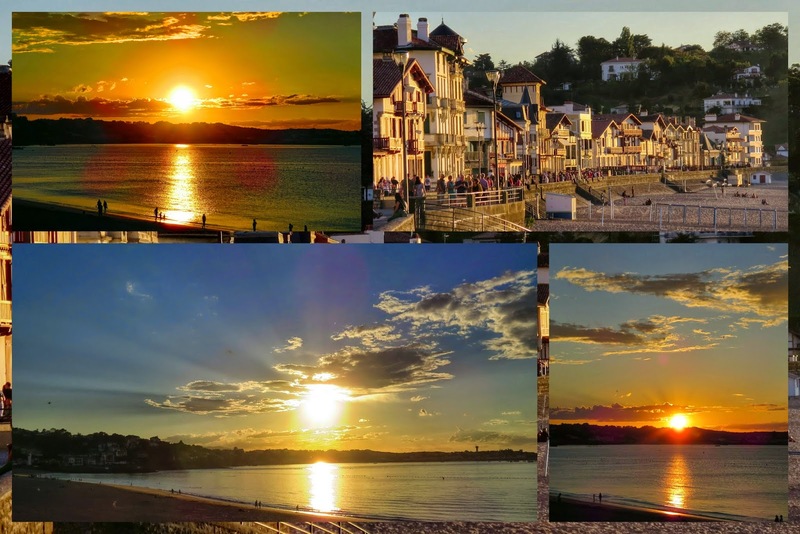 I love a good sunset and we were treated to world-class examples in the two nights we stayed in St. Jean de Luz. We sat along the water noticing how the light reflected off the buildings on the waterfront making them positively glow. The pink and orange hues continued to dance in the sky even after the sun had slipped below the horizon. While we were standing near the beach watching the sunset, we noticed a little white house sitting on top of the hill at the edge of the harbour. We were curious and decided to hike out there the next day. We couldn't have asked for better weather with the warmth of the sun offset by a cool sea breeze from the Atlantic. 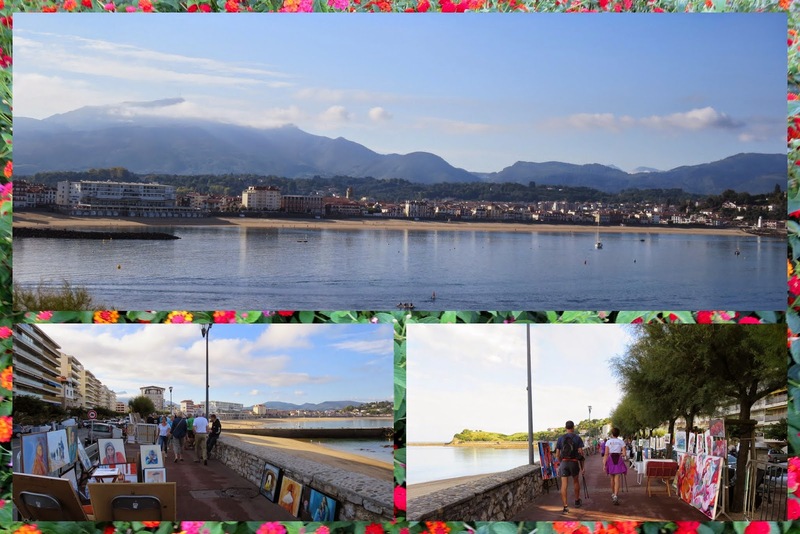 It took less than 45 minutes to get there from the center of St. Jean de Luz and we enjoyed sweeping views of the town and the sea. It turns out that this little white house is actually a somewhat unconventionally shaped lighthouse! 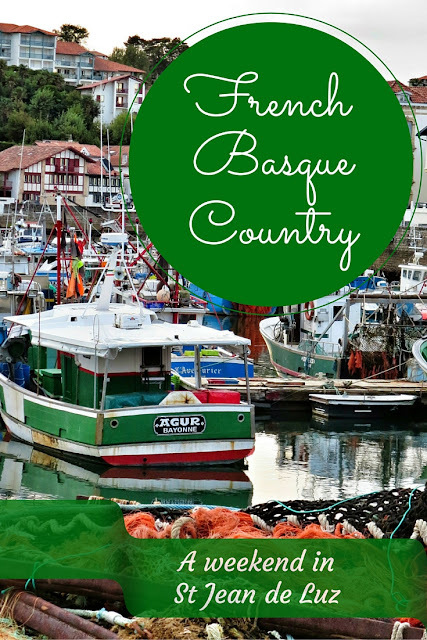 We love visiting France for the food, no doubt, and the Basque Country was no exception. We sampled an array of rich almond based cakes (Basque Gateau) some filled with flavors like apricot and cherries. We also sampled a new kind of macaron. 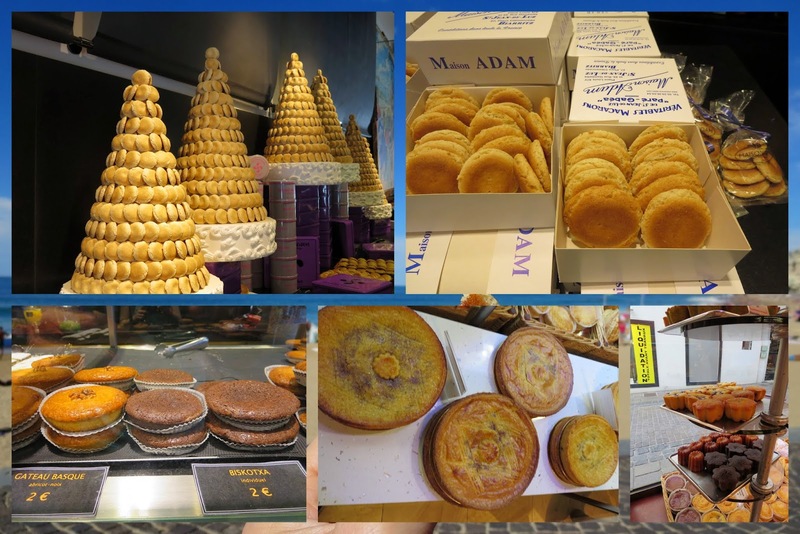 Maison Adam is famous for a macaron recipe beloved by King Louis XIV. It's definitely worth bringing a box home. 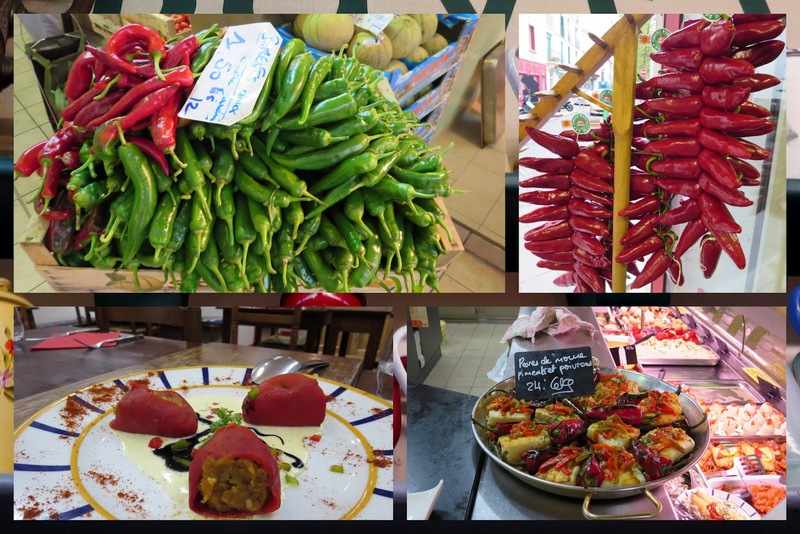 St. Jean De Luz is known for peppers and they were everywhere we looked: hanging out to dry on the eaves of homes, raw and piled high in Les Halles, and stuffed with seafood and other fillings as an appetizer before dinner. Poivrons are definitely to our taste. We even brought home some dried pepper seasoning so our trip can live on in the meals we cook. 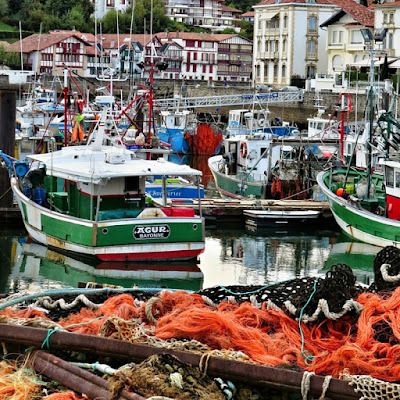 St. Jean de Luz is a fishing village and since it's situated on the Atlantic offers a stunning array of seafood. Our favorite was chipiron, a special kind of squid. 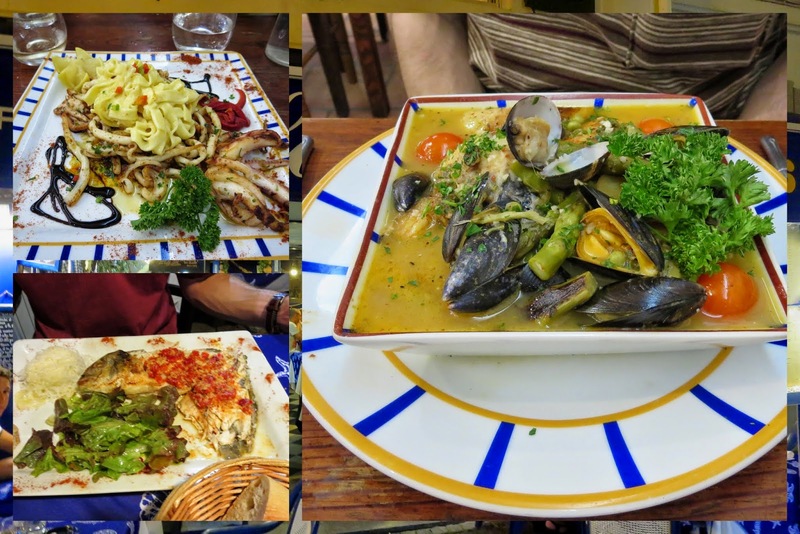 We were spoiled for seafood choice in St. Jean and enjoyed meals at Pil Pil Enea and Le Marinela. Walking along the beach on a Sunday morning, we were delighted to find local artists out in droves showcasing and selling their creations to passersby. It's similar to what they do along Merrion Square in Dublin although a bit more scenic. There was also a higher incidence of 'sad clown' paintings than we would typically encounter in Ireland. It somehow seemed quintessential French. 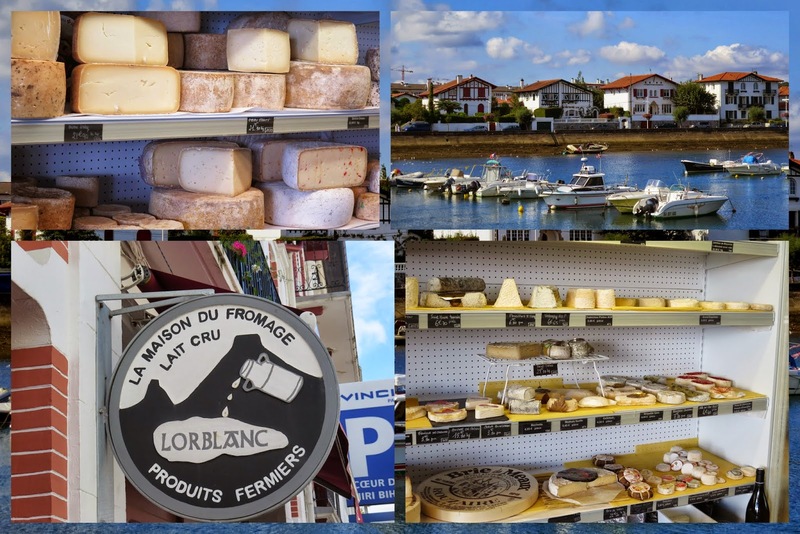 We stopped in La Maison du Fromage Lorblanc and the local boulangerie to pick up some cheese and bread for an impromptu picnic along the river before heading to the train station and back home. We've made this a bit of a ritual on our trips to France. I think it's nearly illegal to visit and not enjoy a piping hot baguette with fresh local cheese. Magnifique! We had a fantastic time exploring this charming region and hope we make it back again soon. 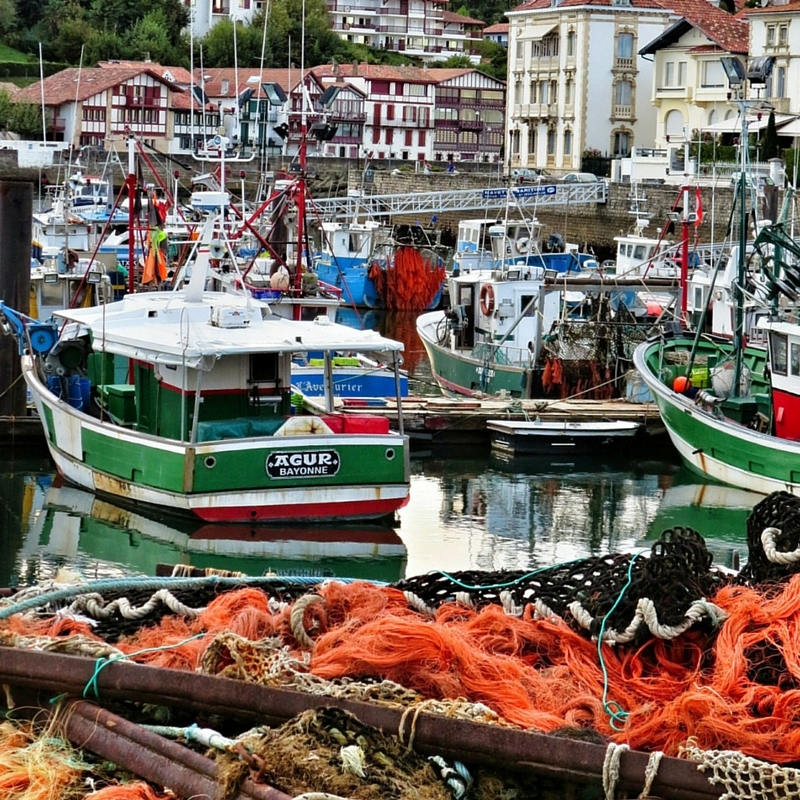 San Sebastian on the Spanish side of Basque Country is an easy day trip by train from St. Jean de Luz. 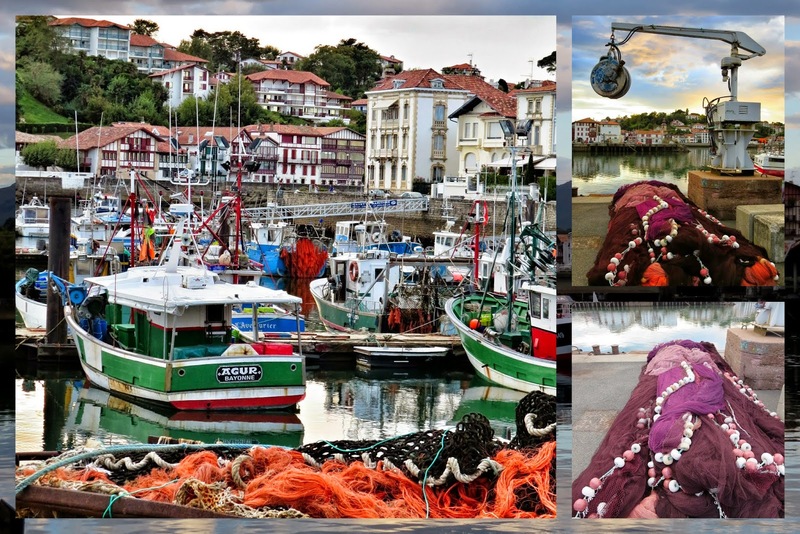 Read more about our day trip from St. Jean de Luz to San Sebastian here. 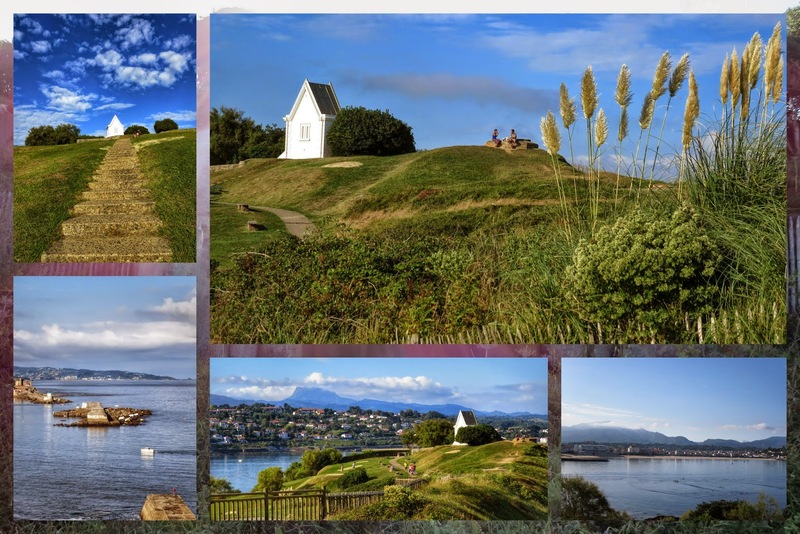 Find out about things to do in St. Jean de Luz. Where is St. Jean de Luz? It's in Basque Country in southwest France near the border with Spain.